17/04/2019: I took my mum and little sister to this barge restaurant after I read reviews suggesting this was the best restaurant in Belfast... and I was not disappointed. Their daily boxty was so delicious that I ate it long after I was full. We enjoyed some gin cocktails that were different and unique before being offered a dessert spirit with a single ice cube that blew our minds - I wish we could remember what it was called. The good was amazing but it was the service that really went above and beyond. We spent 10 minutes talking with the manager about the authenticity of the food, drinks and decor. I would thoroughly recommend this restaurant - book in advance as it is not a big establishment and you really don't want to miss this. 17/04/2019: Stopped in here for dinner looking for traditional Irish food. 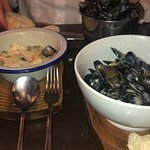 A fantastic little place with lovely atmosphere and delicious food!! Couldn’t have asked for better food or service. The waiter even went out to buy some non-alcoholic beer specially for my dad! Lots of choice on the menu, something for everyone. We parked in a side street off the main road. Would definitely recommend! 19/04/2019: Couldn’t get a booking at time we wanted but Got a walk in table. It’s a bit out the way but very nice inside. Very friendly chatty service. We had lamb done two ways, sea bass with orzo and fennel, and chicken wrapped in Parma ham with a mushroom pie topped with mash. My daughter was very happy with a side of parsnip chips too. Husband finished with a sticky toffee pudding. All very tasty. 15/04/2019: We went here based on a recommendation from a friend and we were not disappointed. The place has a buzz about it. 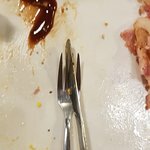 16/04/2019: It has hard seating, is untidy, offers very limited food (Irish stew or Irish stew with brown sauce), could do with a good clean, attracts all kinds of people (some strange) and is in the pokiest part of the city centre. I love it! This really is the genuine article, and if you are a 'pub person', expect it to be in your top ten UK pubs. It's also a great place for sampling Guinness if you are one of those people (like me) who wouldn't touch the stuff in Britain, but want to pay it its due respect across the water. 17/04/2019: We loved this restaurant, food, and service (Brian Holland!!) so much that we returned to have a second meal. We met Brian, our charming server, the first night, and everything he recommended was perfect! Every aspect of our meal - from the drinks to the apps to the meal and dessert tasted incredible. The STICKY TOFFEE PUDDING is literally out of this world delicious! No other sticky toffee pudding compares. 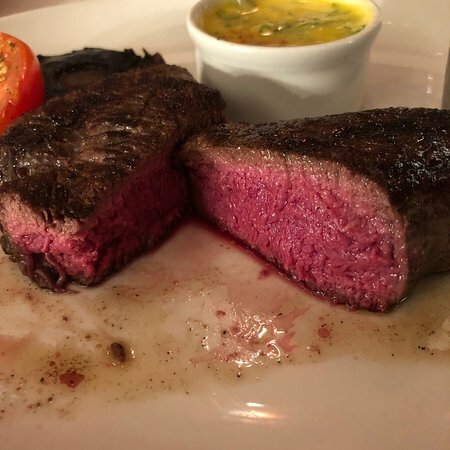 Here is what else I ate and loved every morsel: WHIPPED FIVEMILETOWN GOATS CHEESE, PECAN & CRANBERRY CRUST, COMPRESSED APPLE, BEETROOT PUREE & HOMEMADE GUINNESS WHEATEN, DUO OF IRISH BEEF, 10OZ PICANHA RUMP STEAK, CRISPY FRIED SHORTRIB, and DUO OF IRISH LAMB. The ambiance is fun and entertaining, and I absolutely loved the staff. I highly recommend a visit (or even two) to Made in Belfast when you are in this lovely city. 17/04/2019: What a stunning spot to stumble on! Plenty of veggie options. Served by the very helpful Sean-Paul. Cheerfully priced food with ample portions. If you're hungry, this cafe certainly aims to please. Centrally located, you can easily walk to the University and the Botanical Gardens. 13/04/2019: Food was delicious good size portions. Love the tapas option 3 for £10 and enough to share. Staff friendly surroundings lovely. 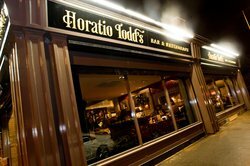 10/04/2019: Just visited Horatio Todd's for lunch and the new menu was just fabulous. So many lovely dishes to choose from not to mention the new tapas selection! Service by "Holly" was super friendly and entertaining. We will definitely return soon! 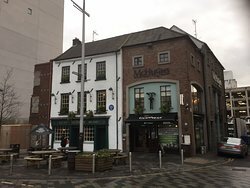 16/04/2019: My wife and I recently spent a weekend in Belfast and on the Friday evening we had dinner at this restaurant. I had probably the best belly pork I have tasted in a long time and my wife was suitably impressed with the lamb dish which she ordered. If we visit Belfast again we shall certainly ensure that this restaurant in on the list! 13/04/2019: If you crave a forgettable burger, this is your best bet. Everything about this place was average. It looks promising. The menu is great and the ambience is there but it seems to be missing a key ingredient: good chefs. The burger was ordered as underdone as they could make it. The waitress said it would be pink in the middle. What I received was clearly a very good quality burger destroyed by a chef overcooking the meat. It was completely grey throughout and was as dry as they come. Not even the chips were enough to write home about. To top it all off, not once was I asked if my food was ok by any of the staff. I will most certainly not be returning. 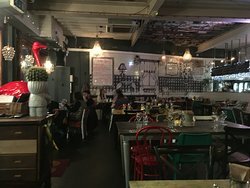 14/04/2019: Odd place, don't get me wrong the food is good and you get a decent pint but the staff look like they would rather be anywhere else, understandably so when you come across the family who own/run the place, very cold and not personable. A bit of an overhaul in terms of decor and set up and they would be on to a complete winner, in fairness it attracts a decent sized crowd most nights but these kind of bars are definitely on their way out. 13/04/2019: My husband and I hear so much about this buffet we decided to try it. 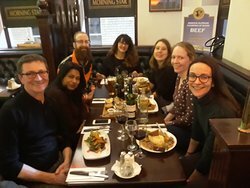 01/03/2019: 12 of us went for a meal as relatives were visiting but ended up with a really disappointing night. 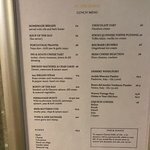 We arrived for the early menu at 6.30 but were advised after 45 minutes that a number of items were no longer available and therefore we were handed different menus. After waiting for a further 45 minutes the meals started coming minus side orders.. 8 of the 12 meals did not end up getting a side order..ie chips, sautéed potatoes etc. I along with others had a plate with a portion of lasagne on it and another family member had a plate with fish and no chips! 12/04/2019: I was surprised when I went it as it looks huge from the outside but it's quite small and cosy inside. The staff were really friendly. There are specials including Nachoes and a pint for £6:50 which I ordered. We also had chips and the soup of the day (chicken, bacon and garlic). Our food was lovely. I would highly recommend. 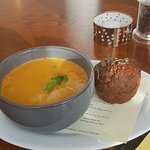 04/04/2019: Excellent food in a warm and cosy pub restaurant with friendly service. Between us we sampled the really excellent gammon, lasagne, burger and also desserts. 02/04/2019: Quickly seated in a booth right beside the kitchen. The chefs seemed to be preparing for a busy lunch. Our order was taken by the very pleasant Marie and the food did not take long to arrive at all. I ordered the medium fry, It was a substantial breakfast with all the goodies you'd expect. I particularly enjoyed the Black Pudding, it was lovely and spicy. 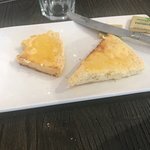 My partner had scrambled eggs on toast and they hit the spot also. 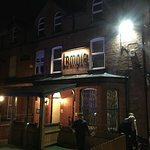 30/03/2019: Just close to the Premier Inn (Cathedral Quarter) and a great recommendation from the hotel staff. 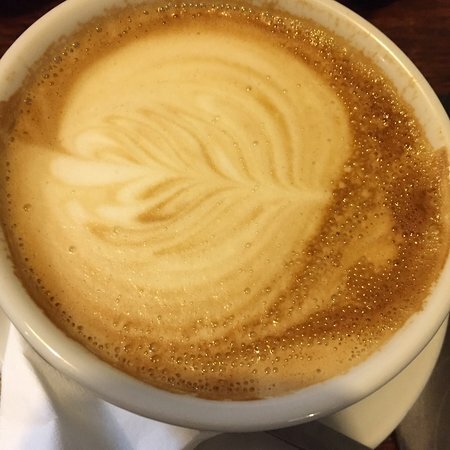 30/01/2019: ¡Después de una extensa prueba de sabor de todos los cafés en Belmont / ballyhackamore, mi esposo y yo decidimos que este es nuestro favorito! Gran servicio, buen precio y comida fantástica! no es la cafetería más grande y, a menudo, está muy ocupada, ¡un testimonio de la buena calidad! Un amplio y variado menú que satisface todos los gustos, vegetarianos y veganos. ahora es nuestro sitio donde ir para comer en la zona y nunca me ha decepcionado.